Soundware is everywhere, from endless catalogs of loops to yet another pack of sampled vintage instruments. But apart from questionable quality as the market grows crowded, the other simple question is, just how should these packs be assembled? SympleSound is what happens when a sound designer decides to treat the sound pack like an instrument unto itself – not just content, but a set of tools. 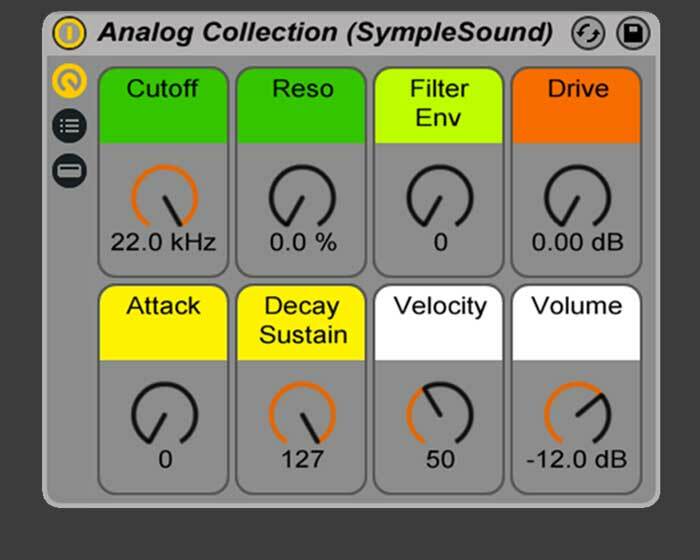 If you’re using something other than Ableton Live, you can stop reading here – SympleSound isn’t for you. 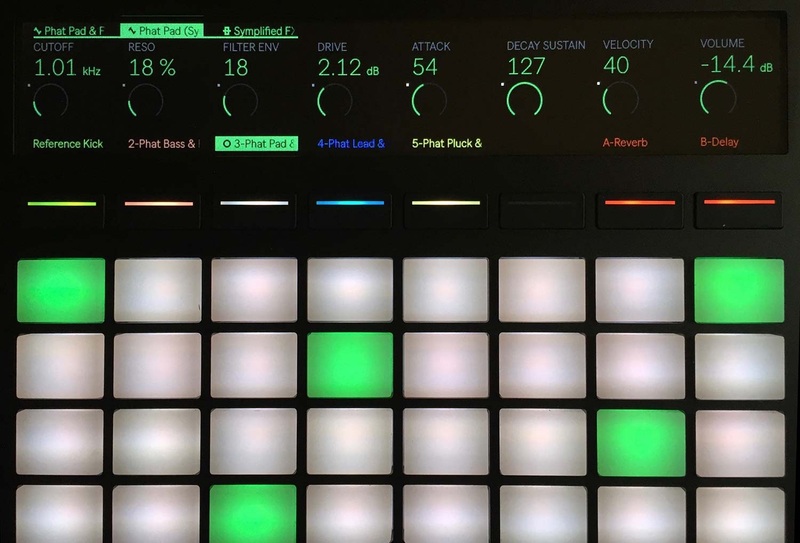 Everything about this approach is tailored to natively designing the sounds for Ableton as a host, from Push controlled support to the use of clips. But if you are using Ableton Live, what you get is a combination of really good sound content under the hood with lots of control wrapped round the outside. It can be a nice set of bass sounds, if that’s what you want. But it can also be a course in synthesizer history and sound design, or a set of instrumental blocks. Fundamentally, the reason this matters is this: to the extent that a sample library is a recording of an instrument, anyone can get quality right. Get more samples, at longer length, at a higher resolution, through a reasonable neutral signal chain, and you’ll wind up with something that accurately reproduces the instrument. Happily, at the same time laptops’ internal hard drives have shrunk to anemic levels, external drives have gotten bigger and cheaper, so that’s no issue. And, to be sure, SympleSound’s first analog outing excels at these characteristics. You never touch a sound sample that’s more than a semitone transposed (across an enormous five-octave range), you get an obscene 10-second minimum for sample length for all non-percussive samples, and you get sounds recorded at 44.1kHz/24-bit. There are even some carefully captured subtle oscillator drift and tuning idiosyncrasies included. On some level, though, this is more administration than art. The art comes in what you design around those sounds in the way of control. And that explains why SympleSound has chosen exclusively Ableton Live 9.5 and later as its target – even if that’s maddening if you happen to use something else. This a library tailor-designed so that when you open it, you have access to the brain of the person who captured the instruments as much as the sounds. The brain in this case is one Francis Prève, the Keyboard magazine veteran who has one of the longest synthesizer sound design and documentation resumes I know in the entire industry – one that reaches from Roland to Ableton, Auxy to Korg. I’ve known Francis for a long time, and few people are as obsessive about synths on Earth as him. He has, frankly, the kind of hyperactive attention to detail required to be crazy enough to undertake something like this. That’s not to say he’s unmoored from the realities of making successful music, either – he’s worked with the likes of Wolfgang Gartner, Gabriel & Dresden, and Aquaviva/Giacomotto, and he knows what to do with a dancefloor. You can read this on his resume, but it matters; this is the weird combination our industry requires – to be equally at home in some sort of compulsive nerd environment as at a club, able to be rational and productive in each. The loops are free. Instead of just making you listen to sound samples (included here), you get 30 royalty-free analog loops for free as the try-before-you-buy business. If you like them, the bet is that you’ll purchase the fully featured packs – and the subtle hint here is that this is a sound library that’s more than just inert loops. At launch, you get loads of analog staples. Vintage classics: Oberheim SEM, Roland SH-101. More contemporary analog hits: DSI Prophet 08, Doepfer Dark Energy, Moog Little Phatty. Everything is polyphonic. There; you’ve just transformed decades of monophonic instruments into something you can use polyphonically (without, like, overdubbing some SH-101). Everything is a rack. The problem with sampled libraries is, all too frequently, they’re fairly inflexible. So they’ll sound good if you stay within a limited range, but you can’t mold them in the way that you would the actual instrument. Building on those aforementioned enormous audio sample libraries, though, SympleSound is different: carefully mapped controls on the Device Rack for each instrument mean you have all the control you might want. 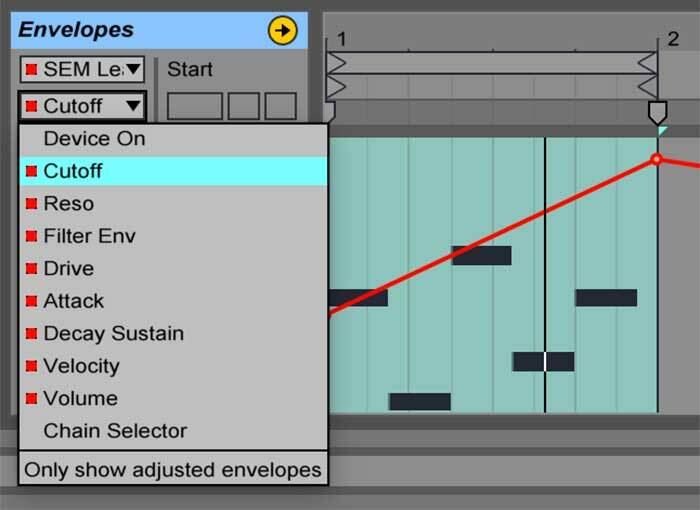 Francis has been doing this in Ableton sound designs more or less since the functionality was introduced, so you can bet those mappings will be flawless. Clip envelopes will change how you work. Here’s the big one, and it’d be easy to miss. Every single instrument here has associated clips, those clips contain clip envelopes, and those envelopes demonstrate the sonic characteristics of each preset. Now, this is important for two reasons. One, because Ableton Live goes to those clips when auditioning sounds, it means you get a proper preview before you dump a bunch of big files on your local hard drive. Two, you can use these envelopes to discover sonic possibilities of each preset, or even work them gradually into a project. Each sound has an associated musical material attached to it, so it isn’t just a sound. The upshot of all of this is that you get a library you can rely on to faithfully reproduce all these instruments, but also one you can bend to new musical applications and designs. You can access the sounds you need, but you can also dig deeper and discover what made them work in the first place. It’s, finally, a sample pack for sound designers and producers – a sound pack that might even impress sound pack makers. And that’s a very good thing. This is just the beginning, Francis tells us – more instruments are coming. Francis is in his home of Austin, Texas today, talking Link and Push and sampling and this launch at South by Southwest. But we can have a go with these sounds anywhere in the world – and if you like them, grab a sound pack for fifteen bucks each. If you use them, let us know how it works and what you make.